In honor of the soon-to-be-released “Princess Bride”-inspired wedding editorial featuring ‘Lauren Elaine Bridal’- I thought I’d share a few snapshots of a recently-completed custom bridal creation. While we normally don’t post too many photos of the custom designs we’re working on, I couldn’t resist. I’m in love with this dress. 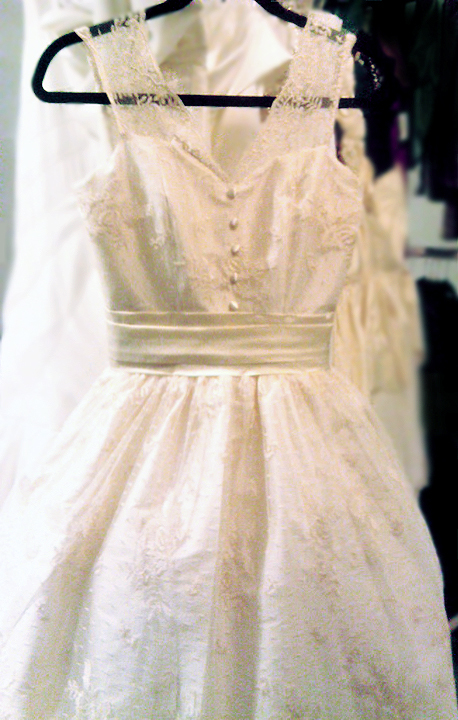 It’s a tea length, 1950’s vintage-inspired frock of ivory silk and gorgeous ivory silk chantilly french lace. 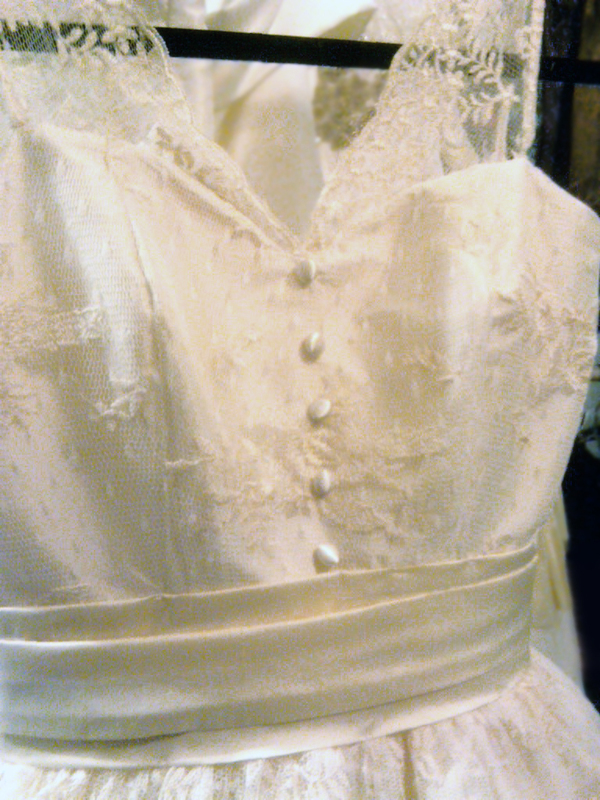 The design features a corset-fitted sweetheart bodice, cinched banded waist, full belle skirt with crinoline petticoat, and chantilly lace v-illusion neckline. The bride is also wearing a custom fascinator and birdcage veil to match. Perfection. For more info about Lauren Elaine Bridal and Custom, please contact: salesrep@Lauren-ElaineDesigns.com or call 818.563.6512 (Ext *2) 9am-6pm PST M-F.
It’s amazing!The photos inspire me to want to have a wedding dress!A line dress is suit for almost everyone though I think mermaid dress is charming.Thanks for sharing!